Giles Wiggs is a desert geomorphologist specialising in the physical processes controlling aeolian sediment transport and landform dynamics. His particular interests include the impact of environmental (including climatic) change on sand dune dynamics, desert dust emission and agricultural wind erosion. This involves using fieldwork, wind tunnel modelling and mathematical models to determine the role of vegetation, moisture, topography and human activity in the mobilisation of aeolian sediment. With a specific interest in determining thresholds of erosion, his current research focus is on the role of turbulence in the aeolian sedimentary system and successful integration of small-scale process research to regional and global environmental modelling. His research is international with projects spanning Africa, Central Asia, Middle East and Australia. He has led international research teams funded by the Natural Environment Research Council (UK), South African National Science Foundation, Medecins sans Frontieres and the British Council with keynote papers delivered at several international conferences. He undertook his BSc and PhD degrees at University College London. Formerly a Reader in Geomorphology at the University of Sheffield, he is now a Reader in Aeolian Geomorphology at the School of Geography and the Environment. 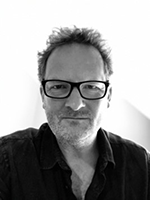 Giles's primary research focus is in aeolian geomorphology, in particular the understanding of processes that lead to the formation of aeolian landforms and the impact of process dynamics on the long-term development of aeolian systems. His major research projects are funded by the NERC, Royal Society, BGRG and the British Council and are internationally collaborative and multi-disciplinary. His research in this theme is advancing at a variety of scales linking short-term processes to the long-term development of aeolian systems. Recent investigations include studies of the development and dynamics of interdune systems in the aeolian landscape; the use of Computational Fluid Dynamics (CFD) for investigations of airflow over dunes; field and wind tunnel modelling of the impact of topography on aeolian sedimentary dynamics; and the role of moisture in determining thresholds of aeolian entrainment. His continuing research focus in this theme involves the roles of turbulence and vegetation in aeolian system processes. The role of turbulence in aeolian system processes: this NERC-funded project employing a DPhil student focuses on the role of small-scale, high-frequency turbulent eddies on sand transport. Fieldwork based in Namibia has highlighted the interactions and feedback mechanisms operating between dune morphology, turbulence and sand transport. Significantly, the individual turbulent wind structures responsible for sand entrainment have been identified and the response of the sand surface to instantaneous peaks in wind energy indicates that thresholds for erosion may be far lower than considered in contemporary sand transport models. The role of vegetation in dune system dynamics: the geomorphological role of vegetation is a key issue in studies of dryland aeolian activity. An understanding of its role is central to the determination of landform development and stability in debates regarding the impact of climatic change on desert dynamics and potential future expansion. Process work is continuing investigating the impact of vegetation in determining thresholds of sediment erosion and dune movement and a recent focus (published in Nature) has been on the application of general circulation models (GCMs) to the prediction of future dunefield activity in Africa. Windborne dust from dryland sources is a vital component in models that predict our future climate as it has a role in ocean fertilisation and reflection and absorption of solar radiation. However, our understanding of aeolian dust dynamics is rudimentary and research into the sources and controls on dust emission is a principal scientific challenge. Giles's research employs both a field and modelling component that focuses on establishing the climatic and terrestrial (including human impact) conditions necessary for significant dust emission. 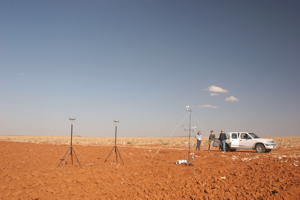 Identifying thresholds for agricultural wind erosion: this SANRF-funded project in collaboration with South African colleagues focuses on extensive South African croplands that lie at the climatic limit for rain-fed agriculture. Models of future climate change in the region predict an environmental drying that will have profound consequences for human activities. The research employs a field-based approach in identifying the current controls on agricultural wind erosion. Once quantified, these controls will be used to model future erosion conditions and agricultural prospects. Dynamics of aeolian dust hazards in dryland Central Asia: based around the drying and shrinking Aral Sea, several projects funded by Medecins Sans Frontieres and the Royal Society are investigating the environmental consequences of enhanced aeolian dust erosion. In collaboration with colleagues at Nottingham (UK) and the Academy of Sciences (Tashkent) investigations have focused on obtaining fundamental physical data on the nature, sources and sinks of atmospheric dust. In particular efforts have been made to determine the relative importance of atmospheric and terrestrial controls on the dust and also the impact of the dust on the respiratory health of the local population. Dr Wiggs teaches the Preliminary Examination lecture courses on 'Earth Observation and Application in Geography' for the Geographical Techniques core course and '>Geomorphology' for the Earth System Processes core course. He also lectures on the 'Earth System Dynamics' core course and the 'Desert Landscapes and Dynamics' Option for the Final Honours School. Nield, J.M., McKenna Neuman, C., O’Brien, P., Bryant, R.G. and Wiggs, G.F.S. (2016) Evaporative sodium salt crust development and its wind tunnel derived transport dynamics under variable climatic conditions. Aeolian Research, 23(A): 51-62. Wiggs, G.F.S. and Weaver, C.M. (2012) Turbulent flow structures and aeolian sediment transport over a barchan sand dune. Geophysical Research Letters, 39(L05404). Baddock, M.C., Wiggs, G.F.S. and Livingstone, I. (2011) A field study of mean and turbulent flow characteristics upwind, over and downwind of barchan dunes. Earth Surface Processes and Landforms, 36(11): 1435-1448. Weaver, C.M. and Wiggs, G.F.S. 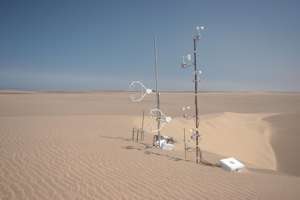 (2011) Field Measurements of mean and turbulent airflow over a barchan sand dune. Geomorphology, 128(1-2): 32-41. Nield, J.M., Wiggs, G.F.S. and Squirrell, R.S. (2010) Aeolian sand strip mobility and protodune development on a drying beach: examining surface moisture and surface roughness patterns measured by terrestrial laser scanning. Earth Surface Processes and Landforms, 36(4): 513-522. Vermeesch, P., Fenton, C.R., Kober, F., Wiggs, G.F.S., Bristow, C.S. and Xu, S. (2010) Sand residence times of one million years in the Namib Sand Sea from cosmogenic nuclides. Nature Geoscience, 3: 862-865. Baddock, M., Livingstone, I. and Wiggs, G.F.S. (2007) The geomorphological significance of airflow patterns in transverse dune interdunes. Geomorphology, 87(4): 322-336. Livingstone, I., Wiggs, G.F.S. and Weaver, C.M. (2007) Geomorphology of desert sand dunes: A review of recent progress. Earth Science Reviews, 80(4): 239-257. Garvey, B., Castro, I., Wiggs, G.F.S. and Bullard, J.E. (2005) Measurements of Flows Over Isolated Valleys. Boundary Layer Meteorology, 117(3): 417-446. Livingstone, I., Wiggs, G.F.S. and Baddock, M. (2005) Barchan dunes: why they cannot be treated as 'solitons' or 'solitary waves'. Surface Processes and Landforms, 30(2): 255-257. Thomas, D.S.G., Knight, M. and Wiggs, G.F.S. (2005) Remobilization of southern African desert dune systems by twenty first century global warming. Nature, 435: 1218-1221. Bennion, P., Hubbard, R., O'Hara, S.L., Wiggs, G.F.S., Wegerdt, J., Lewis, S., Small, I., van der Meer, J. and Upshur, R. (2004) The impact of airborne dust on respiratory health in children living in the Aral Sea region. International Journal of Epidemiology, 36(5): 1103-1110. Knight, M., Thomas, D.S.G. and Wiggs, G.F.S. 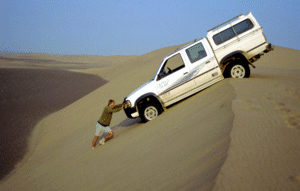 (2004) Challenges of calculating dunefield mobility over the 21st century. Geomorphology, 59(1-4): 197-213. Parsons, D.R., Walker, I.J. and Wiggs, G.F.S. (2004) Numerical modelling of flow structures over idealized transverse aeolian dunes of varying geometry. Geomorphology, 59(1-4): 149-164. Wiggs, G.F.S., Atherton, R.A. and Baird, A.J. (2004) Thresholds of aeolian sand transport: establishing suitable values. Sedimentology, 51(1): 95-108. Wiggs, G.F.S., Baird, A.J. and Atherton, R.A. (2004) The dynamic effects of moisture on the entrainment and transport of sand by wind. Geomorphology, 59(1-4): 13-30. Wiggs, G.F.S., O'Hara, S.L., Wegerdt, J., van der Meer, J., Falzon, D. and Hubbard, R. (2003) The dynamics and characteristics of aeolian dust in dryland Central Asia: possible impacts on human exposure and respiratory health. The Geographical Journal, 169(2): 142-157. Wiggs, G.F.S. (2002) Desert dune processes and dynamics. Progress in Physical Geography, 25(1): 53-79. Wiggs, G.F.S., Bullard, J.E., Garvey, B.G. and Castro, I.P. (2002) Interactions between airflow and valley topography with implications for aeolian sediment transport. Physical Geography, 23(5): 366-380. Atherton, R.J., Baird, A.J. and Wiggs, G.F.S. (2001) Inter-tidal dynamics of surface moisture content on a meso-tidal beach. Journal of Coastal Research, 17(2): 482-489. O'Hara, S.L., Wiggs, G.F.S., Wegerdt, J., van der Meer, J., Small, I., Falzon, D. and Hubbard, R. (2001) Dust exposure and respiratory health amongst children in the environmental disaster zone of Karakalpakstan, Central Asia: preliminary findings of the ASARD project. : 71-82. O'Hara, S.L., Wiggs, G.F.S., Mamedov, B., Davidson, G. and Hubbard, R.B. (2000) Exposure to airborne dust contaminated with pesticide in the Aral Sea Region. Research letter to The Lancet, 335: 627-628. Bauer, B.O., Walker, I.J., Baas, A.C.W., Jackson, D.W.T., Neuman, C.M., Wiggs, G.F.S. and Hesp, P.A. (2013) Critical Reflections on the Coherent Flow Structures Paradigm in Aeolian Geomorphology. Chap. 8 in, Venditti, J.G., Best, J.L., Church, M. and Hardy, R.J. (eds.) Coherent Flow Structures at Earth's Surface. Wiley-Blackwell. pp. 111-134. ISBN: 978-1-119-96277-9. Wiggs, G.F.S. (2013) Dune Morphology and Dynamics. 11.11 in, Shroder, J.F. (ed.) Treatise on Geomorphology (Volume 11). Elsevier Inc. pp. 201-218. ISBN: 978-0-08-088522-3. Boardman, J., Hoffman, M.T., Holmes, P.J. and Wiggs, G.F.S. (2012) Soil erosion and land degradation. Chapter 11 in, Holmes, P. and Meadows, M. (eds.) Southern African Geomorphology: Recent Trends and New Directions. African Sun Media. pp. 307-328. ISBN: 978-1-920382-02-5. Washington, R. and Wiggs, G.F.S. (2011) Desert dust. Chapter 20 in, Thomas, D.S.G. (ed.) Arid Zone Geomorphology: Process, Form and Change in Drylands, 3rd Edition. Wiley. 648 pp. ISBN: 9780470519080. Wiggs, G.F.S. (2011) Geomorphological hazards in drylands. Chapter 23 in, Thomas, D.S.G. (ed.) Arid Zone Geomorphology: Process, Form and Change in Drylands, 3rd Edition. Wiley. 648 pp. ISBN: 9780470519080. Wiggs, G.F.S. (2011) Sediment mobilisation by the wind. Chapter 18 in, Thomas, D.S.G. (ed.) Arid Zone Geomorphology: Process, Form and Change in Drylands, 3rd Edition. Wiley. 648 pp. ISBN: 9780470519080. Wiggs, G.F.S., O'Hara, S.L. and Mamedov, B.K. 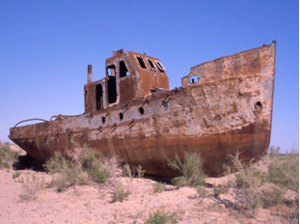 (2003) Wind erosion and dust deposition in the Aral Sea region: possible consequences of unsustainable human activity. In, Alsharhan, et al. (ed.) Desertification in the Third Millenium. Swets and Zeitlinger. pp. 291-298.